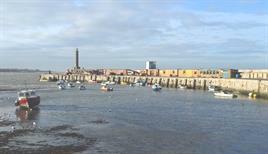 Founded in 1968, Margate Civic Society is a registered charity (no.257884). It is affiliated to both the Kent Federation of Amenity Societies and the Kent History Federation and is a founder member of Civic Voice. We hope that you will enjoy browsing these pages and that they will help you to take pleasure in the history and character of Margate and its surrounding towns and villages. We hope also to provide a service to members of the Society in publishing news and photographs that will be of interest. The Society produces a Newsletter four times a year, and has a winter lecture programme which covers a wide range of interests. Details are given on the "Calendar" page. The last meeting of each season includes presentation of the coveted Town Pride awards, and details of the 2018 nominees can be found on the "Town Pride" page. Town Pride contenders are nominated by members of the Society. If you would like to join Margate Civic Society, details of fees and a link to an application form are shown in the "About us" page. We currently have almost 300 members and always like to welcome more. The winter lectures are invariably of a high quality as is the Newsletter, and membership of the Society really is extremely good value. 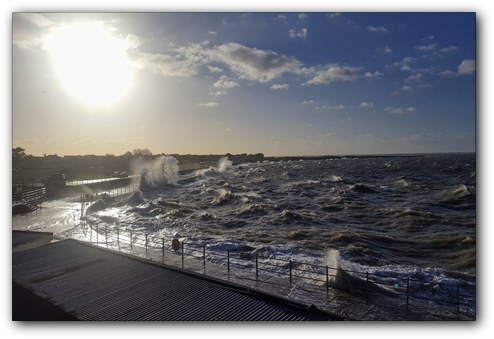 The Society takes an active role in reviewing and, where appropriate, responding to planning applications and has a good working relationship with Thanet District Council in helping to improve the character and appearance of the area. Our next meeting will be held on Thursday 9th May. This meeting will be the final one of our 2018/19 meeting season and, as always, we will announce the winners of our prestigious Town Pride Awards. We have seven nominations this year. We have an interesting mixture of two restored properties, three new buildings and two which are even more unusual but certainly enhance the town. One is a tiled mural celebrating the writer and poet T S Eliot, who famously wrote part of his masterpiece "The Waste Land" in Margate. The other is for the Dane Park project by the Colourful Margate community group, for their planting of 11 cherry trees and production of six marvellous wood carvings in Dane Park, for the benefit of all those who use the park. Details of all this year's nominees on our Town Pride page. The meeting will begin at 7.30pm at our usual venue, the Walpole Bay Hotel in Cliftonville. All are welcome - members free of charge, guests £4.50. Two of our very active community groups, Gordon Road Area Street Scheme (GRASS) and A Better Cliftonville (ABC) are organising this years event and are launching it on Sunday April 28th from 11am-2pm, at the Viking Adventure Playground on Ethelbert Terrace. This informal event will include a cliff-top litter-pick (A Better Cliftonville) and will also provide an opportunity to raise awareness about the renovation of the Newgate Gap shelter (http://www.focc.uk). Cliftonville in Bloom will offer free light refreshments, as well as giving away lots of plants and hanging baskets to residents. Hopefully, if they receive the necessary support, there will also be music and some children’s activities. The judging this year will be on Thursday 4th July and the prize-giving day will be on Sunday 7th July. They do need additional help; if you are able and willing to help, please contact us and we will put you in touch with the organisers. One of our members, Anny Squire, is kindly looking after our social media. If you use Twitter, you can follow us at @MargateCivicSoc and on Facebook by clicking here. Please check regularly so we can keep you informed of new and interesting events. The Society had a most entertaining talk at our March meeting, given by Mary Smith. Mary was Headteacher at Maidstone Grammar School for Girls and, while she was there, WW2 shelters were discovered in the school grounds. 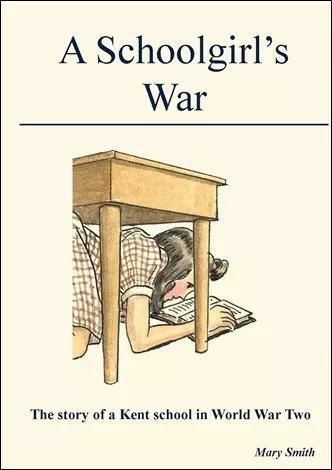 Following from this discovery, Mary carried out extensive research into school life in World War Two and has written a marvellous book, including many beautiful illustrations by Helen Keen, art teacher at the school during the war. We thoroughly recommend this book, copies of which are available from the school's website at https://www.mggs.org, priced at £10 + p&p. The Society has built up a reputation over the last few years for organising interesting and enjoyable coach trips, for members and their friends. We've arranged two trips for 2019. The first, on 21st May, will be to Boulogne where we'll have five or six hours to explore that lovely French town. On 22nd September, we're going to Chatham Historic Dockyard for their "Salute to the '40s" Festival, one of the country's best vintage festivals. Each of these trips costs £27 per ticket. Further details including where to buy tickets by clicking here. We are very proud to have Arnold Schwartzman OBE RDI as one of our members. Arnold is an Oscar-winning director with a most distinguished career. He was brought up in Margate and loves and supports the town. 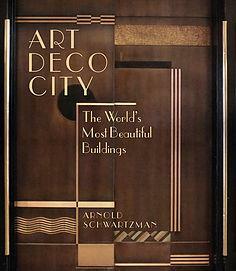 He has written a number of beautifully-produced books about Art Deco buildings and the latest has just been published. It is called "Art Deco City: The World's Most Beautiful Buildings" and is a must for anyone interested in or enjoying seeing wonderful architecture. Details can be seen by clicking here. We’d like to remind everyone of James Brazier’s extensive work in detailing the names of those lost in conflicts and who are remembered on the Margate, Westgate-on-Sea and Birchington War Memorials. James’s work can be viewed by clicking here. We have been very fortunate to have had four talks by Dr Steven Alexander about his father Christopher Alexander ARE ARCA. Christopher was a Margate man who was a most talented artist. We are very pleased to be able to supply copies of Steven’s beautifully written and illustrated book about his father. For full details and samples of Christopher’s work, please visit the "Christopher Alexander" page.